When do I have the right to not pay common costs for condominiums? Articles When do I have the right to not pay common costs for condominiums? As owner, user or occupant of condominium ownership, I have an obligation to pay the total cost of the property, which includes the costs of: repair, reconstruction, reconstruction, overhaul and main renovation of the common parts of the building, replacement of common installations or equipment, designated for the "Repair and Renovation" Fund. As well as the costs of managing and maintaining the common parts of the building, including: entrance cleaning costs, lighting, elevator and more. When can I not pay for these costs? 1. As owner or occupant of condominium ownership, if I am absent from it for more than 30 days within one calendar year, I pay half of the consumable costs of managing and maintaining the common parts during my stay. 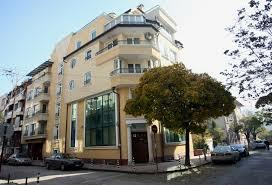 This is done by a decision of the general congregation of condominiums. For my absence, I must first notify the Chairman of the Management Board (Manager) in writing. 2. If I, as the owner, user or occupant, stay for no more than 30 days within one calendar year in the condominium, I have the right not to pay for the management and maintenance of the common parts (here the decision of the general meeting under item 1). 3. Children under the age of 6 do not pay for the management and maintenance of the common part. 4. As the owner, I have the right to make necessary repairs to the common part of the building with my own funds, materials and / or work without a decision of the condominium general assembly. The cost of the repair work for my account is refunded or deducted from the contributions I have due for the Repair and Renovation Fund with a decision of the General Meeting. And in the case of urgent repairs, a decision of the Management Board is immediately granted financial resources from the "Repair and Renovation" Fund. If such a fund is missing or the funds in it are insufficient for the urgent repairs, the general meeting is summoned, which decides who and how much owes it for the repair. What happens if this does not work or if a general meeting is not convened, and to whom I can turn for help? the article: "How to get my wrong neighbors to regret having not paid their total cost of condominium ownership"
5. In some cases, I spend most of my expenses on my neighbors. I pay three to five times more than the other owners in the building if I have a store or office to which outsiders have access. I can free myself from paying these overpayments when a separate entrance (business entrances and goods loading) is provided for the respective premises, which does not match the entrances / entrances provided for the other owners and occupants of the building. In this case, I will pay along with the other co-owners and occupants all the costs of managing and maintaining the condominiums. When do I have the right to not pay common costs for condominiums? When do I have the right to not pay common costs for condominiums?